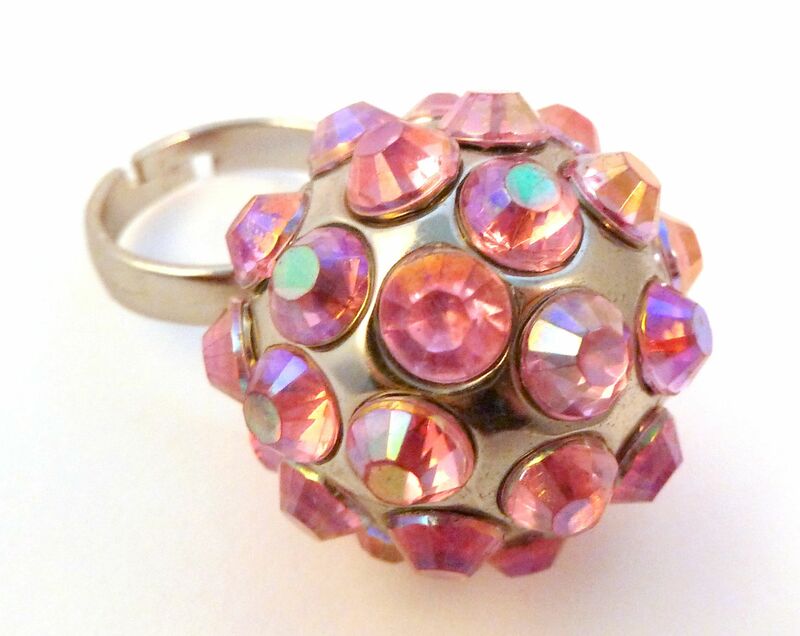 Huge Chunky Pink Rhinestone Set Adjustable Bubble Ring. 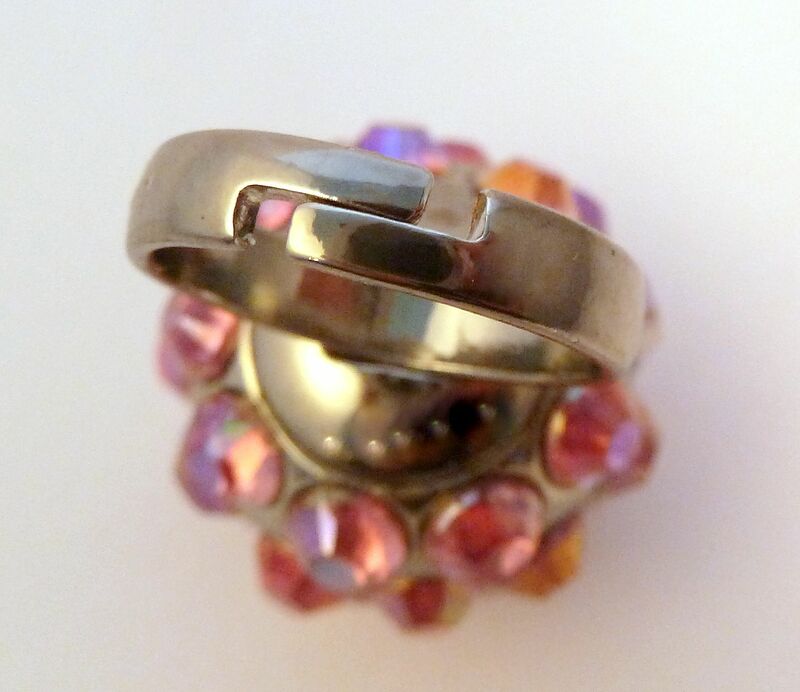 Huge, chunky, raised, pink rhinestone set bubble ring. Huge chunky pink rhinestone set adjustable bubble ring. Formed with a plain silver tone metal band, set with a huge raised silver ' bubble ' set with pink rhinestones. The ring has an adjustable fit. Unusual modern statement ring. 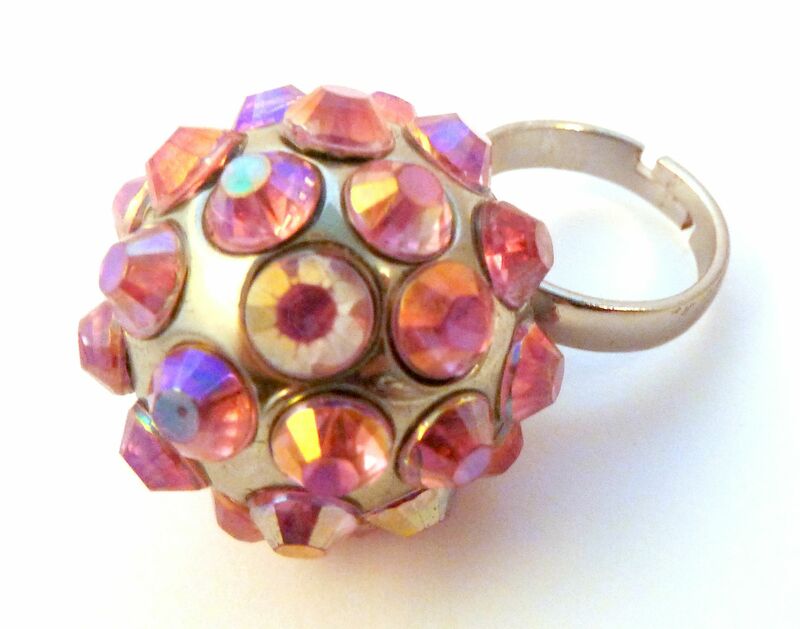 Huge raised silver tone metal and pink rhinestone ring. Adjustable fit, ring height approx 2.5cm from the base of the band. Chunky, huge, modern statement ring.